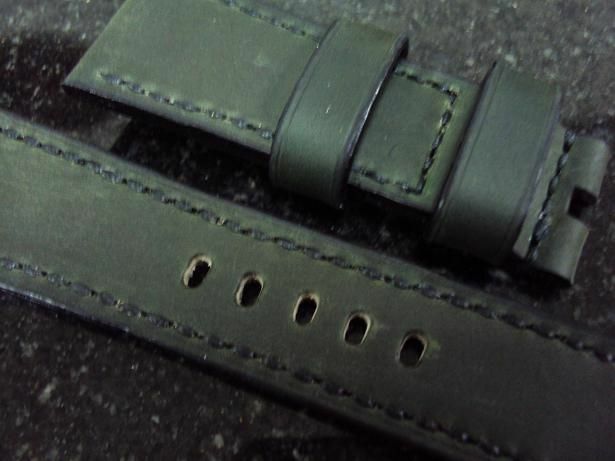 Here are some Panerai custom straps: Custom A480~A494 include some crocodile straps,olive green & dark gray straps which have sold by way of some custom strap orders. 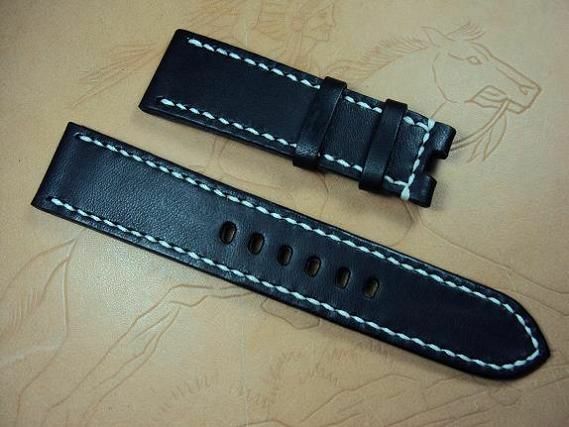 Custom A480, Panerai deployant clasp ultrasoft black leather strap, 24x22mm, 80x135mm, thick 4.0mm taper to 2.0mm, white stitch. 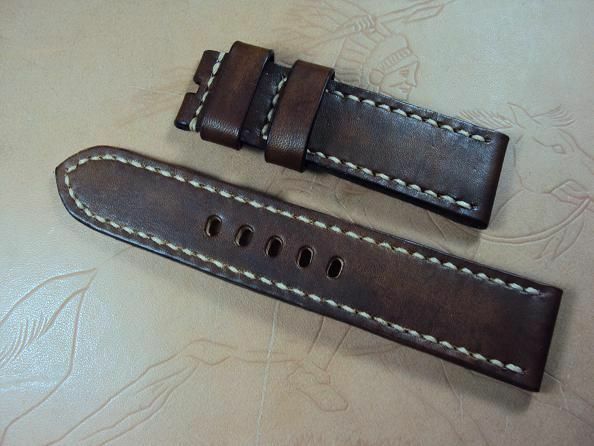 Custom A481, Panerai honey brown vintage leather strap, 24x24mm, 75x125mm, thick 4.0mm, cream stitch. 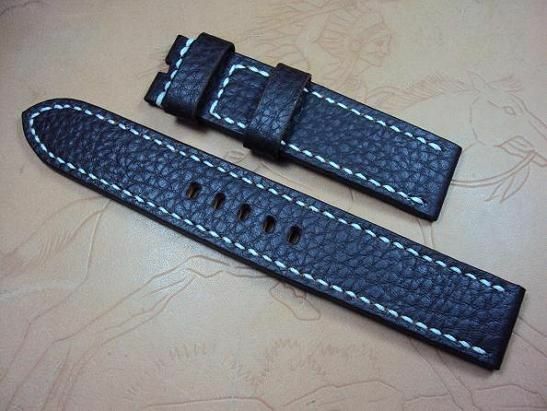 Custom A482, Panerai dark brown grained leather strap, 22x22mm, 90x150mm, thick 4.0mm, white stitch. 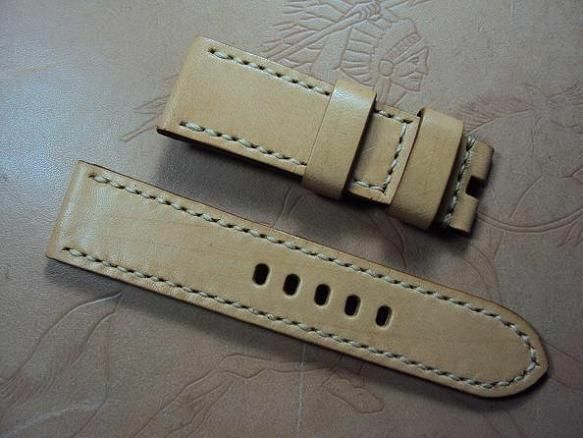 Custom A483, Panerai beige leather strap, 24x22mm, 75x120mm, thick 3.0mm, beige stitch. 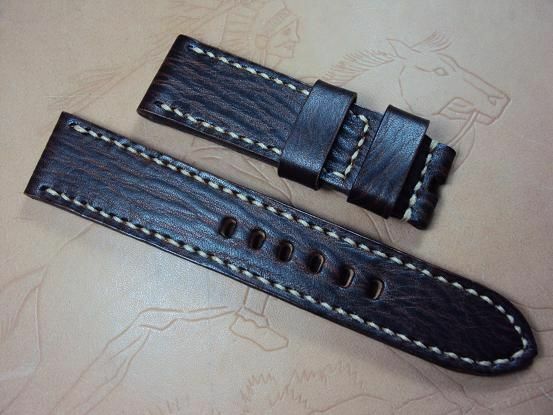 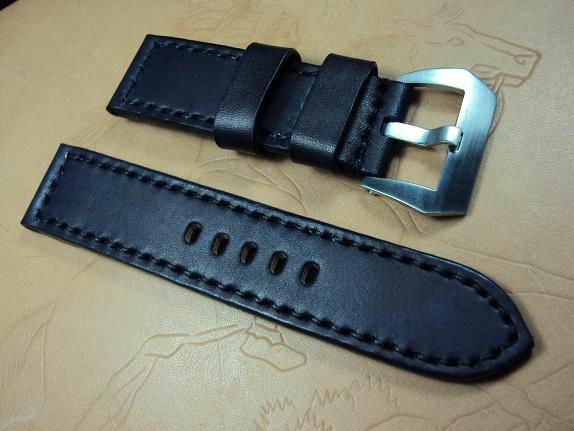 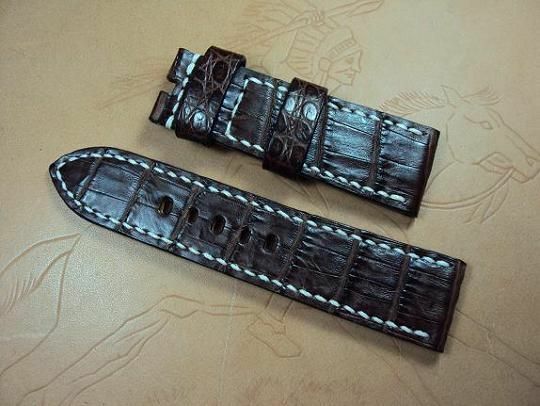 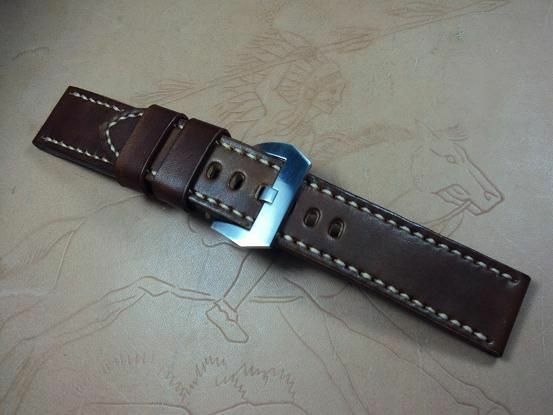 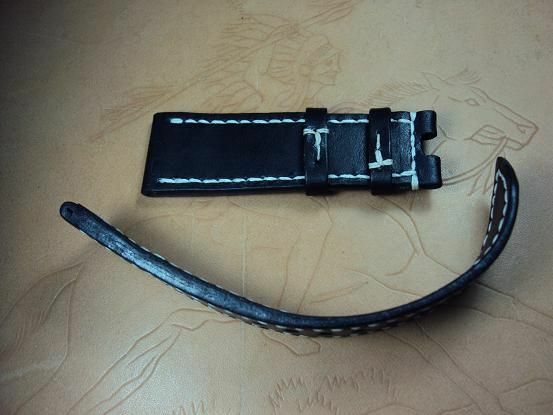 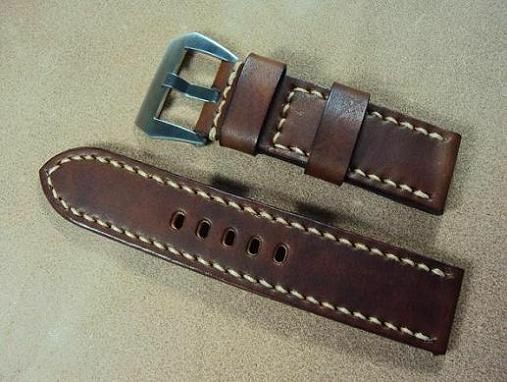 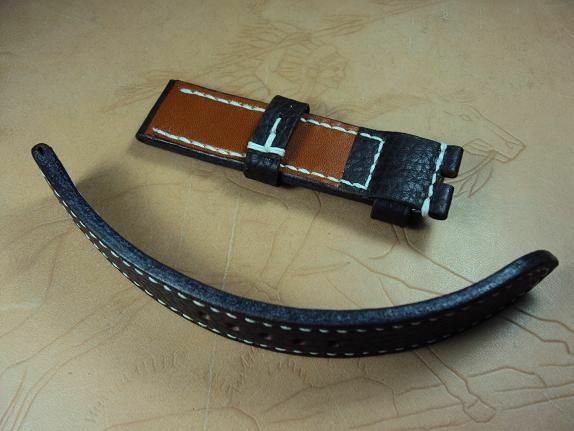 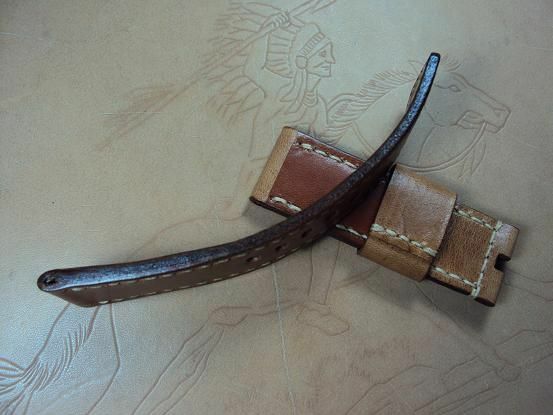 Custom A484, Panerai dark brown crocodile belly strap, 24x22mm, 75x115mm, thick 3.8mm taper to 3.0mm, white stitch. 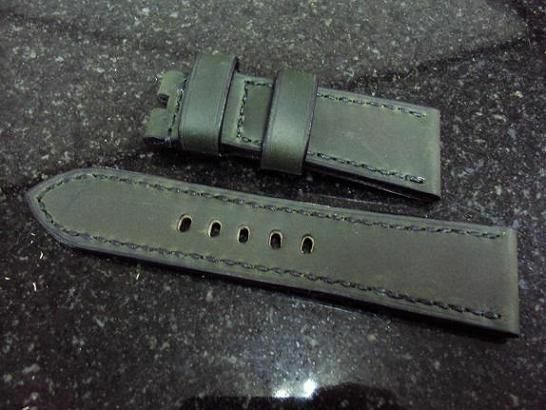 Custom A485, Panerai olive green leather strap, 27x22mm, 75x120mm, thick 4.5mm taper to 3.5mm, black stitch. 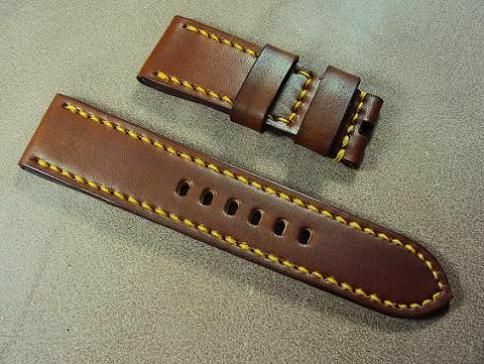 Custom A486, Panerai honey brown vintage leather strap, 26x24mm, 75x135mm, thick 5.0mm taper to 4.0mm, yellow stitch. 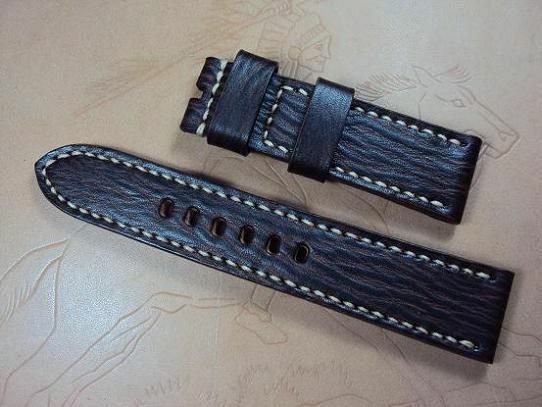 Custom A487, Panerai chocolate brown grained leather strap, 24x22mm, 80x135mm, thick 5.0mm, cream stitch. 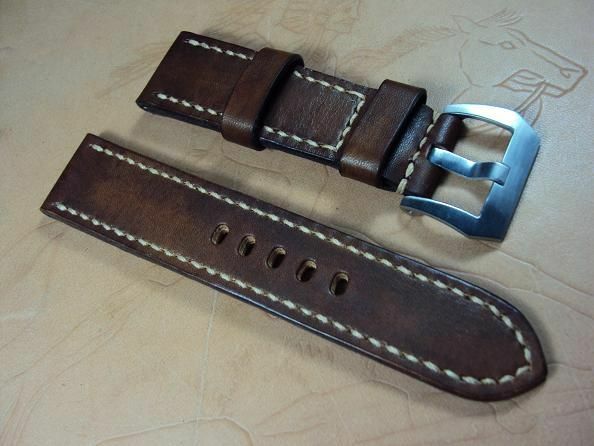 Custom A488, Panerai honey brown vintage leather strap, 24x22mm, 80x135mm, thick 5.0mm, cream stitch. 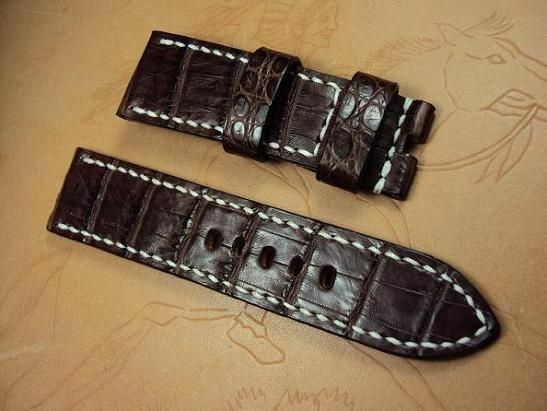 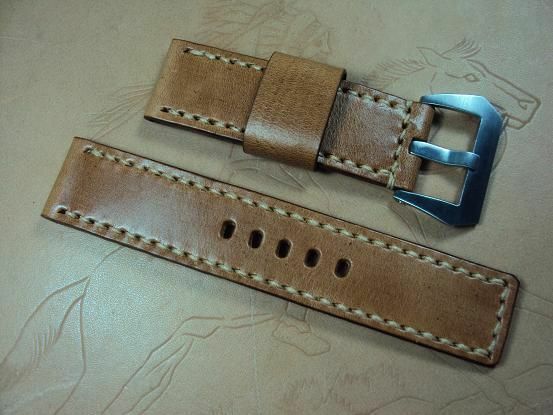 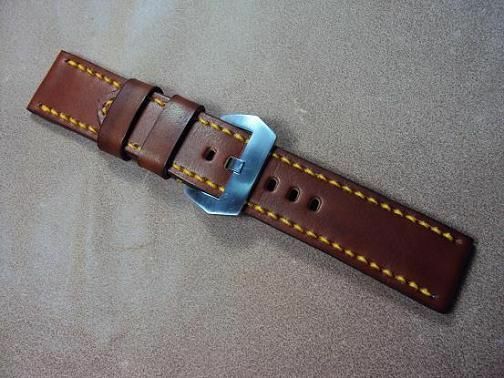 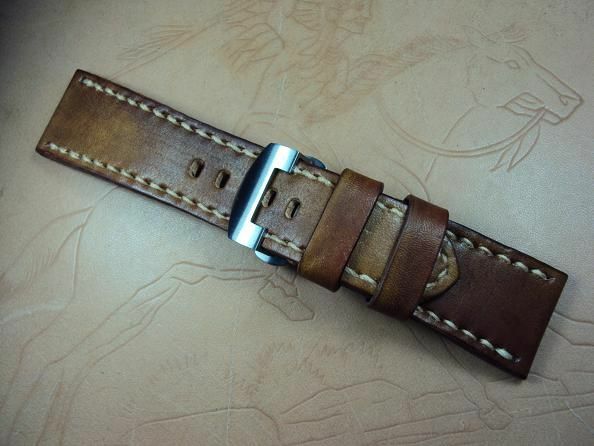 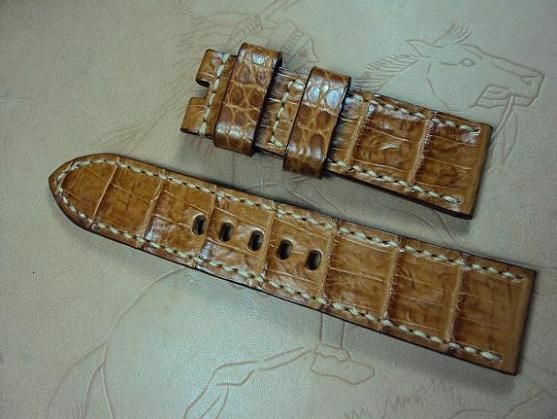 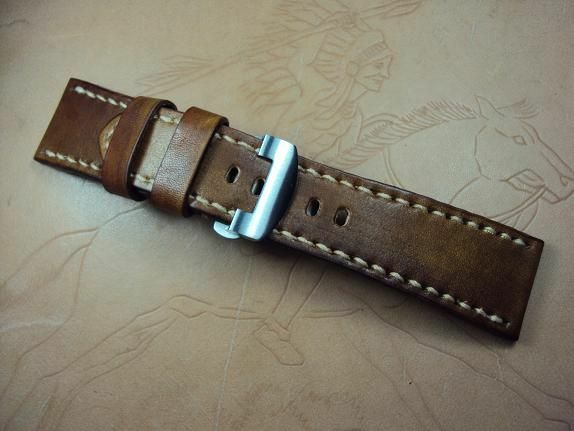 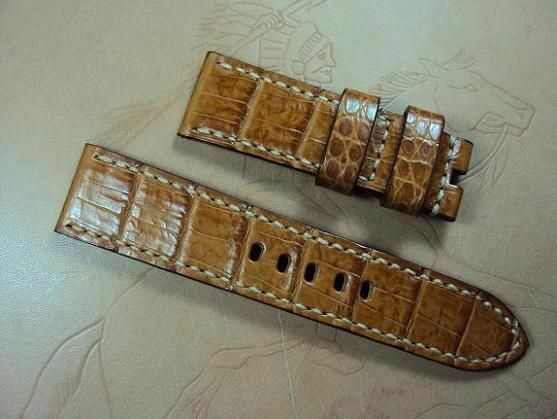 Custom A489, Panerai chocolate brown crocodile belly strap, 24x22mm, 75x125mm, thick 4.0mm taper to 3.5mm, cream stitch. 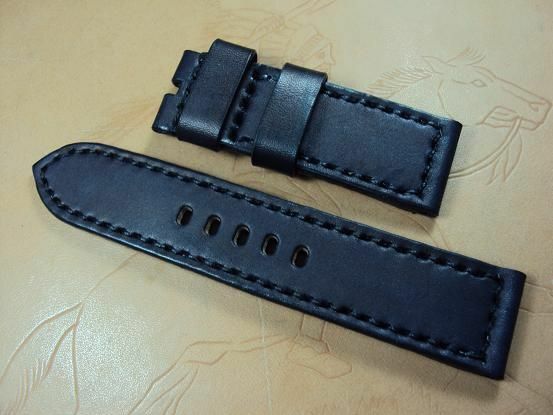 Custom A490, Panerai dark gray cowskin leather strap, 24x24mm, 75x125mm, thick 3.5mm, black stitch. 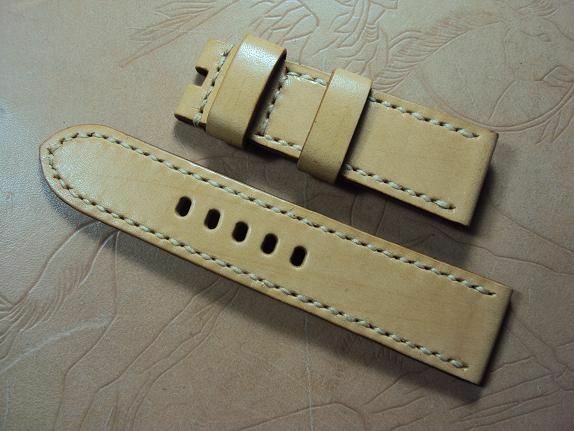 Custom A491, Panerai tan vintage leather strap, 24x24mm, 75x125mm, thick 4.0mm taper to 3.0mm, cream stitching. 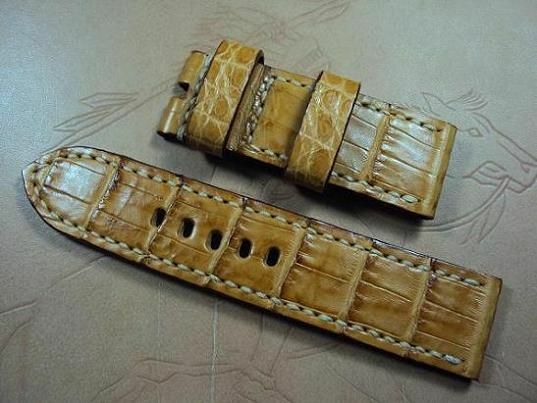 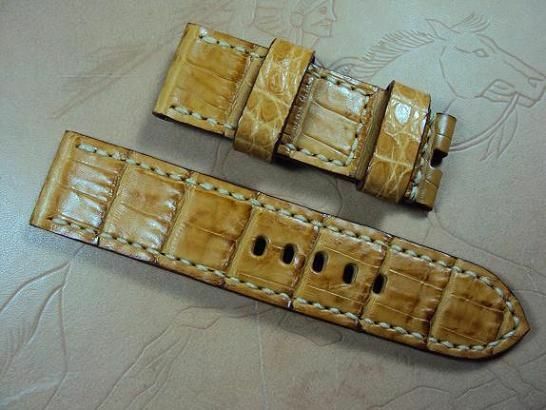 Custom A492, Panerai golden crocodile belly strap, 24x24mm, 70x120mm, thick 4.0mm, golden crocodile belly strap, cream stitch. 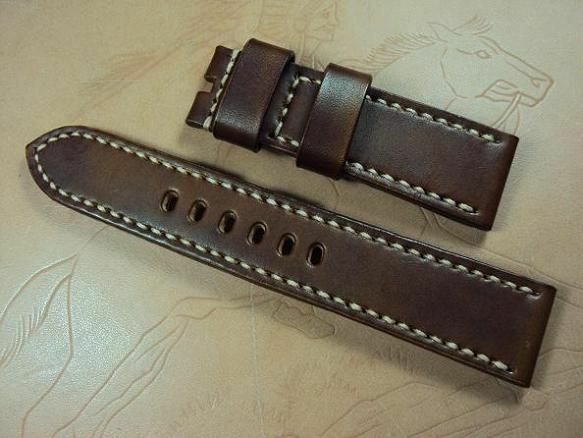 Custom A493, Panerai chocolate brown leather strap, 24x22mm, 80x125mm, thick 4.0mm taper to 3.0mm, cream stitch. 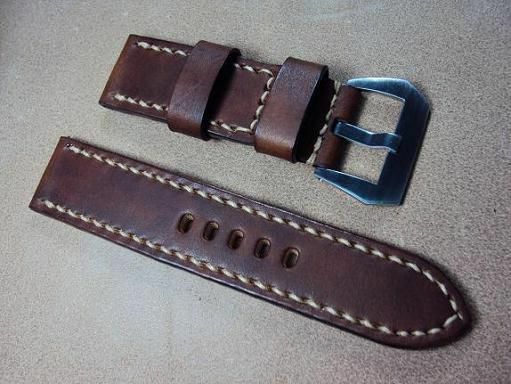 Custom A494, Panerai honey brown vintage leather strap, 26x22mm, 65x115mm, thick 5.5mm taper to 2.0mm, cream stitch.